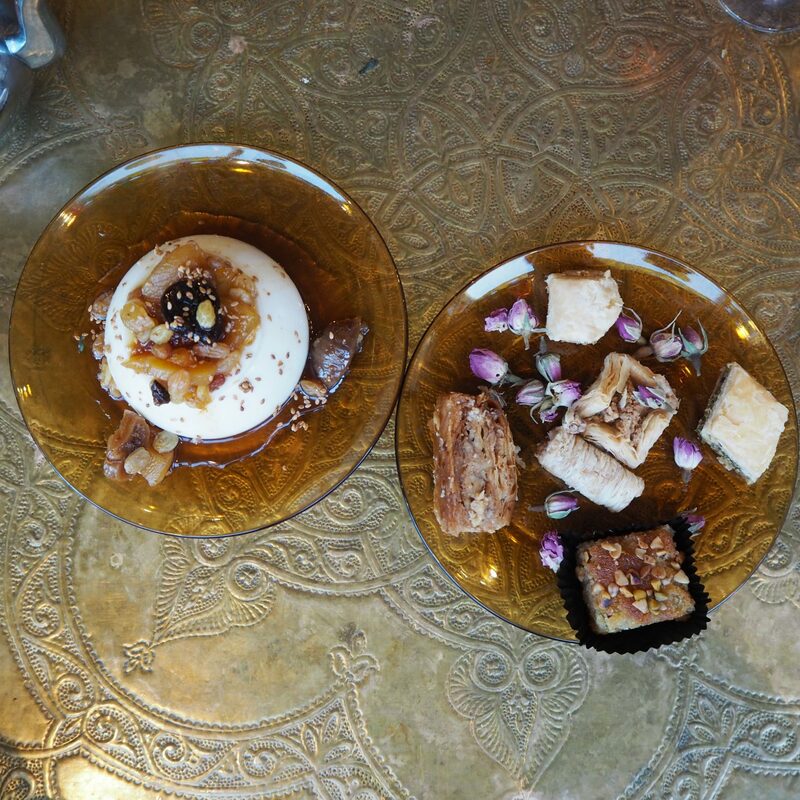 So we came to Comptoir Libanais on a Sunday evening to try out their new ‘Feast Menu’. You can find this here if you scroll down to ‘Feast Menu’ and expand it. It costs £26.95 per person. For those of you that may remember, the Westgate Oxford shopping centre re-opened in October 2017 after a massive £440 million refurbishment. 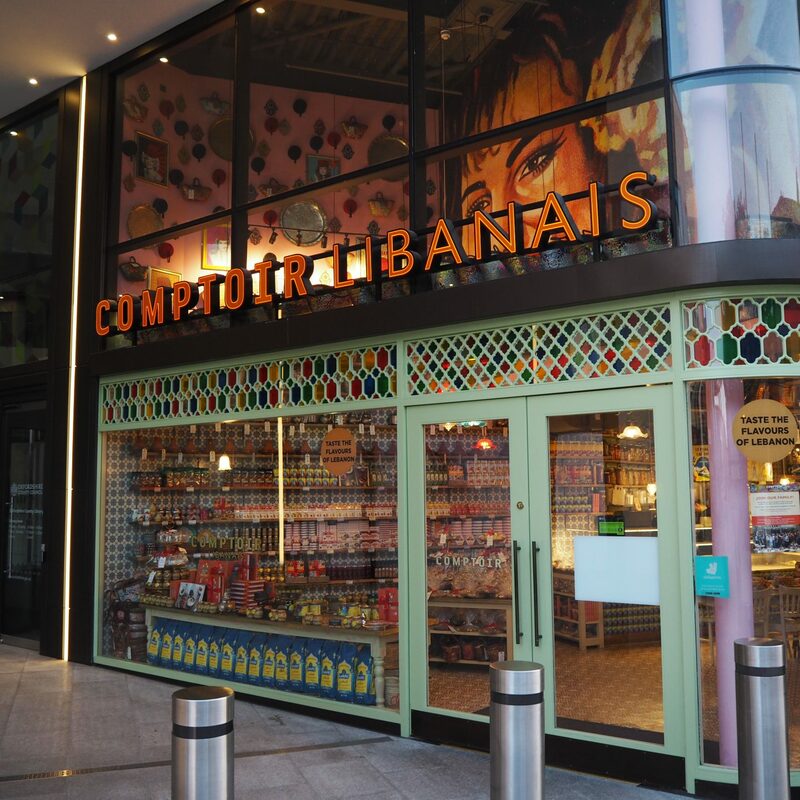 Comptoir Libanais were very quick to be a part of this new shopping centre being fortunate enough to secure one of the first places you see as you walk in the main entrance on the right-hand side. Initial impressions of the restaurant as you walk in are bright, colourful and full of positivity which is always a nice way to start off a meal. One thing I really loved about the interior is that it really does remind me of the Middle East, it felt authentic with a funny twist as you will find some pictures of celebrities on the wall wearing a Fez. Before I proceed into reviewing the food and drinks, I must add that because I’m half Turkish, I warmed quickly to this place as it reminded me of the many summers I’ve spent on holiday in Turkey with the culture and food being very similar. 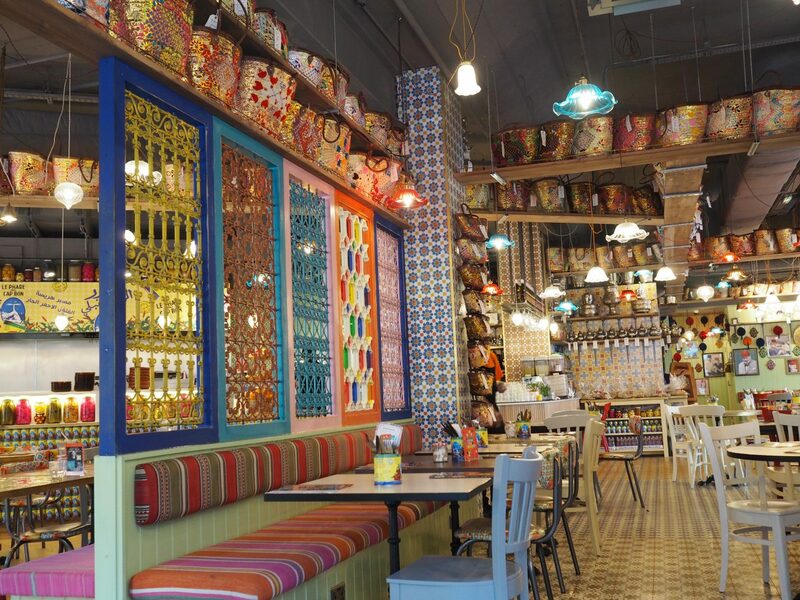 When you are sat in Comptoir Libanais Oxford, it feels as if you aren’t in Oxford anymore and you are abroad on holiday with the colourful interior and Arabian style music playing. A great place to switch off. To drink, I opted for the Strawberry Fanta, admittedly something I had never heard of before but had to try. I was told that this is a very popular drink in Lebanon and is not widely available in the UK. The founder and owner of Comptoir Libanais took it upon himself to be one of the few people to import this drink to the UK in bulk and sells it in his restaurants across the UK. Correct me if I’m wrong but I do not know anywhere else in Oxford you can buy this, which I was impressed by. I absolutely loved it, it tastes as good as it sounds and looks below! Hummus (Smooth rich chickpea puree with tahini and lemon juice). Baba Ghanuj (Smoked aubergines, tahini and lemon juice with pomegranate seeds). Beetroot Labné (Natural strained yoghurt with beetroot, tahina, garlic & virgin olive oil). Falafel(Chickpea & broad bean pate, coriander, parsley, garlic & peppers, served with tahina sauce). Cheese Sambousek(Pastry parcels filled with Lebanese cheese, parsley and cinnamon served with harissa sauce). Batata Harra (Lebanese spiced fries with red pepper, fresh coriander, garlic and chilli). Below is a picture showing how this is all presented on your table and we have to admit, it was 10/10 for presentation. I’m now going to bombard you with a series of pictures of how good each dish looks. I normally like a good amount of food but this was certainly a lot of food for two people (in a good way). Out of all of the dishes above, my favourite was the Beetroot Labné (Natural strained yoghurt with beetroot, tahina, garlic & virgin olive oil), great for dipping the fresh bread into. Aubergine Tagine (Baked aubergine in a rich tomato and chickpea sauce garnished with mint yoghurt and served with couscous or vermicelli rice). Mixed Grill (A three skewer selection of lamb kofta, chicken kofta and chicken sish taouk served with vermicelli rice). And it was presented well, just like the starter. We kept some of the dips from the starter. Below in the bottom left you will see the Aubergine Tagine and to the right is the Mixed Grill. The meat was cooked so well with a crisp on the outside whilst being tender in the middle, and that counts for all the meats including the chicken. Having had mixed grills in Turkey and another country in the Middle East, they were so close to replicating the real thing it was incredible. Orange Blossom Mouhalabia (something I’ve never tried before, but tasted like a delicious milk pudding that falls apart). Fresh Rose Mint Tea served in a silver teapot (A healthy blend of green tea, fresh mint, rose water and sugar). So like I mentioned I’m a little biased because I love this type of food, but that being said this is the first restaurant I’ve eaten Middle Eastern food in Oxford before. It doesn’t feel like we have had a big company come to Oxford offering food of this cuisine before, but it really works. To my knowledge there are 21 Comptoir Libanais restaurants over the UK, so they must be doing something right! The best way to describe our experience here is a casual dining environment with comfort food and somewhere you can really switch off and relax. I don’t think you would necessarily go here for a special occasion, but more somewhere to relax with friends or great for a casual date night. Honestly I couldn’t find a fault in the service or food and they have me hooked on the mint tea to the point where I’ve started making some of my own at home. I’d rate Comptoir Libanais 9/10 but we visited on a fairly quiet evening, so would be interested to come back when it’s busy to see if the service could keep to the same standard. If you haven’t been before, go and try it at least once! Next Post Cinnamon Kitchen Oxford – The Highest Quality Indian Food In Oxford?